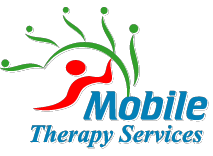 Mobile Therapy Services of Winnipeg has helped hundreds of patients like you achieve their maximum level of function through our in-home physiotherapy programs. We are an in-home physiotherapy service dedicated to providing the highest quality in-home physiotherapy assessment and treatment possible to aid clients in maximizing their quality of life and functional independence. We promote home or workplace based treatment which considers the physical, social and emotional factors affecting people’s lives. Who Benefits From Mobile Therapy Services? Those clients who cannot travel or have difficulty travelling out of their homes due to reduced mobility, pain or illness can especially benefit from physiotherapy within their home. We provide individualized physiotherapy treatments and exercise programs within the comfort of your own home, taking into account specific needs for each person. We treat residents in personal care homes, thereby eliminating the need to arrange for transportation to a hospital or rehabilitative setting. For those clients who have busy schedules, we provide physiotherapy at your workplace, thereby saving you time. We treat you in your home, thus eliminating the need to arrange childcare, transportation etc., which would be normally required to attend physiotherapy outside your home. Whether we visit you in the comfort of your home, or in the convenience of your workplace, we will provide you with the high quality physiotherapy treatments necessary to have the best functional independence and quality of life possible. For appointments, referrals and more, please call us any time. We will answer all inquiries within one business day. Patients may also be covered under a spouse’s plan or a parent’s plan. We have physiotherapists who can treat you in the comfort of your own home, your personal health care facility or in the convenience of your workplace.